Our dentists at Granville Station Dental are committed to preventing the onset, progress, and recurrence of dental diseases and conditions. We'll work closely with you to help give you a healthy and beautiful smile. Book your dental cleaning today! We offer cleanings and dental exams in downtown Vancouver. 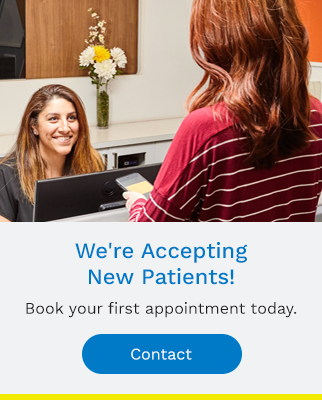 We're always welcoming new patients. Preventing dental disease starts at home with good oral hygiene and a balanced diet. It is continued in the dental office by the efforts of your dentist and dental hygienist to promote, restore, and maintain your oral health. Prevention also includes regular dental exams, cleanings, and x-rays. Sealants and fluoride are also great preventive treatments that can help protect teeth. Prevention helps avoid serious and costly dental problems, and is the key to having a healthy, confident, beautiful smile. The dental hygienists at Granville Station Dental are dedicated to your oral health. They provide you and your families with routine cleanings to help maintain your oral health. We recommend that you visit your hygienist once every six months. At-home dental care is also very important to maintain a healthy smile. Our dental hygienists will teach you how to properly brush and floss your teeth to make sure that you have all the tools you need to keep your mouth healthy. When you come in for your hygiene appointment, your dental health team will also provide you with diagnostic services. These include oral examinations, x-rays and even oral cancer screenings. Oral screening is one of the most important aspects of your dental and overall health. Recent research has established links between oral health and the prevention of disease such as cancer, diabetes and heart disease. Our years of experience combined with the most current laser diagnostic technologies will help detect problems early for optimal treatment outcome. At Granville Station Dental, we leverage the DIAGNOdent diagnostic system which is a pen-sized laser device that facilitates detection of the initial pit lesions that eventually become cavities. Correcting dental cavities at the early pitting stage requires less intervention and thus maximizes structural integrity when we treat the cavities. After your dentist has an overall picture of your oral health situation, he or she will review your recommended customized treatment plan. Our patients needs are very important to us. We make sure to listen to your concerns and work with you to create an oral health plan that works for your situation. Connect with our team at Granville Station Dental to book an appointment today.